I'm not normally one to blow big bucks on mascara, when there's so many I'm a fan of available on the high-street. But, with a zillion weddings and special occasions to attend over the summer, I thought I'd treat myself. Years ago, I bought the YSL Shocking Mascara and fell in love, so I thought it was about time I added it to my beauty arsenal, once again. Firstly, let's get the obvious out of the way. Look at it. Like everything YSL create, the packaging is gorgeous and so luxe. Surprisingly, the tube is as light as a feather and doesn't feel quite as decadent, but I can let that go seeing as it makes it more convenient to carry in your makeup bag and travel with. Enough about the aesthetics, anyway - how does it perform? For starters, we need to talk about the twisted-cut, helix wand, which is like nothing I've seen before. Fibre or bristle brushes seem to be quite rare nowadays, with many brands favoring elastomer or plastic, but YSL have gone traditional and stuck with a 'proper' wand. Whilst I'm impartial and don't mind using either, I know there are many people who despise plastic brushes, so if you're one of them, you'll appreciate this! With a lot of mascaras that promise intense volume, the brush is usually monstrous and a nightmare to use without poking yourself in the eye, or leaving you covered in messy smudges. Fortunately, as this one is straight, slim and long, it allows you to get right into your lashes for a precise, clean application that drags through every lash. The mascara itself is very thick, smooth and extremely black. One of the blackest blacks I've come across, actually. In an instant, with barely a touch of the brush, it delivers what YSL describe as 'indecent volume'. I totally agree. But, being so effortlessly effective has it's pros and cons. Yes, it's quick and creates buckets of volume in seconds, but you can easily take it one stroke too far and suddenly slip into the realms of clumpy, spidery lashes. I find the result is so dramatic and intense that one coat is more than enough to achieve my desired effect, even when I'm prone to layering on three. So it's amazing and only takes seconds to perfect! If you're hoping that this mascara will lengthen your lashes to infinity, then you may be disappointed. To be honest, I think there's better lengthening formulas out there, but to be fair, YSL put all their focus on volume with this mascara. My lashes are pretty long to begin with, so that could be the reason that I don't find it adds much extra length. I don't have a problem with elephant-like lashes either (y'know, straight, down-turned and impossible to keep curly), but I always like to use my trusty Kevyn Aucoin The Eyelash Curler before applying any mascara. 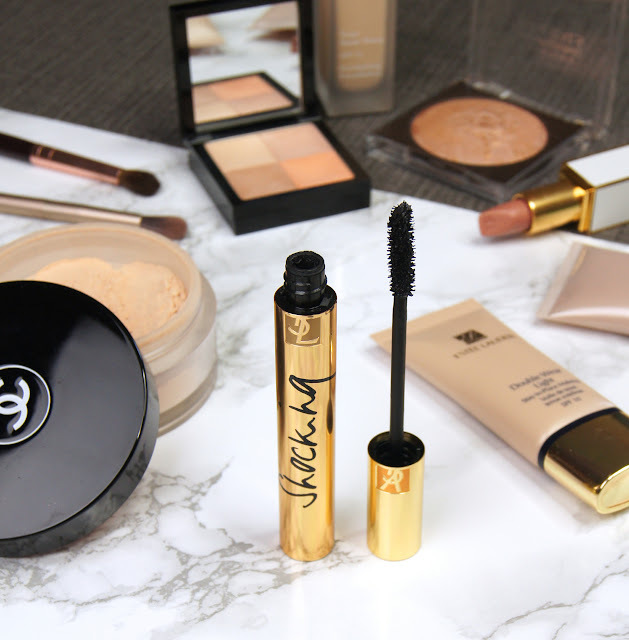 With this routine, the YSL mascara holds a curl well throughout the day, but if I skip curling them first, my lashes start to feel the effect of all that volume and droop after a couple of hours. So, if you have straight lashes to begin with, you may find this formula doesn't open up the eyes enough. You'd think that a mascara which was so black and coated the lashes so heavily would start to smudge or flake after a while of wear, but I never find that to be the case with YSL Shocking. It can start to look dry if you've piled it on so thickly that it starts to clump, but I haven't found that it leaves my cheeks dusted with black flecks by the end of the day. My biggest issue with most mascaras, is that they tend to fade and almost wear-off, but this one stays strongly-pigmented and striking until I remove it. Speaking of taking it off, this mascara is a pain to fully remove, without waking up with panda eyes. An oil-based cleanser works best to dissolve it thoroughly and quickly, but you will need to double cleanse your face to make sure you lift every scrap of black residue off the rest of your skin. Using a cotton pad soaked in micellaire water doesn't quite cut the mustard, unless you want to get through about twenty. One thing I will mention, is that this mascara tends to dry up after a few weeks maximum. With the majority of mascaras, I find they feel a bit too wet when first opened and give the best results after a week or two of everyday use, but with this, the formula starts off very thick and less liquid-y. To save it and return it back to its former glory, I pop the tube in a glass of hot (not boiling) water for 5 minutes or so, which loosens up the wasted product inside and allows you to get some extra use out of it. A few tips I'd give to keep it slick for as long as possible, are to avoid pumping the wand during use and leave it unopened until a special occasion or a time when you know you'll use it regularly. No-one wants to use a mascara once and then come back to it a month later, finding it needs to be thrown out! As I've already mentioned, I'm not usually one for spending over £10 on mascara when the likes of Maybelline Lash Sensational or Bourjois Volume 1 Seconde do the job so well and are so affordable. But, I think it's nice to use something that makes you feel extra confident every once in a while, even if a tube will set you back £25. 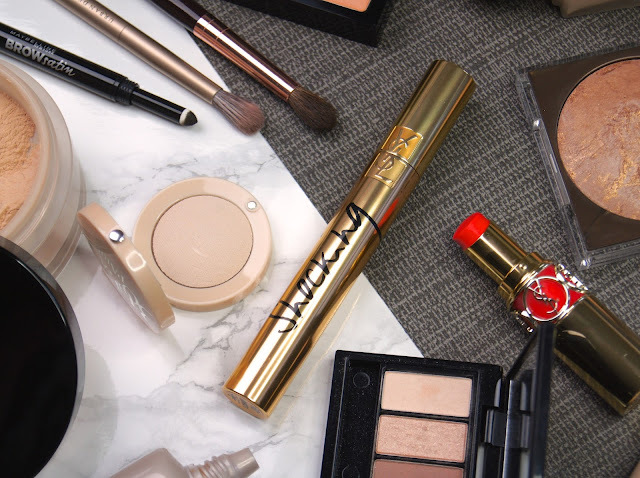 There's only a few mascaras that I would class as worthy of such a splurge, but YSL Shocking is definitely my number one! Which volumising mascaras do you love the most? I totally want to try this out, it looks like it does wonders to your lashes! Great post. This looks lovely both on the eyes and in terms of packaging. 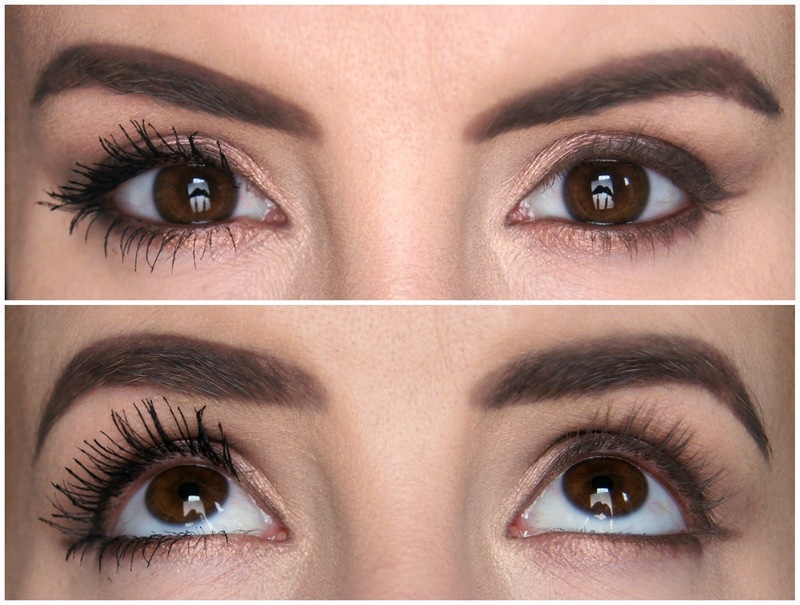 I love the By Terry mascara, it is my all time favourite but then I like length more so than volume. 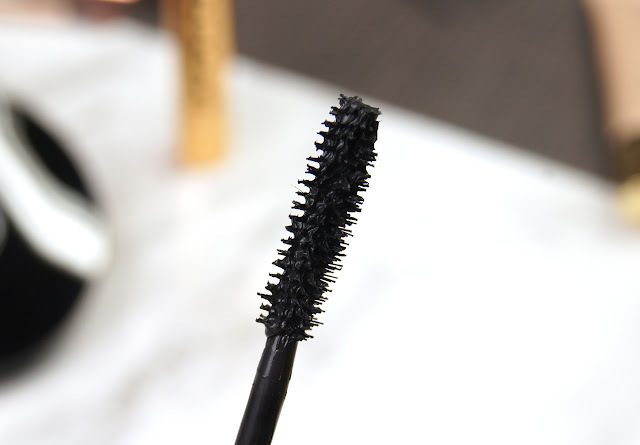 That's interesting, I'm using a sample of this mascara right now (a travel-size mini, but the brush is the regular size) and I don't find it particularly volumizing on me! I like it though because it's dark and holds the curl pretty well. I prefer more lengthening mascaras so I think I'll pass on this one, but the volume is incredible especially considering you only applied one coat! This mascara looks amazing on you. I particularly love that it doesn't look too clumpy. Oh wow, that mascara is amazing! Great review! This mascara looks amazing! I'm totally with you on adoring the ridiculously-pretty-and-shiny YSL packaging! 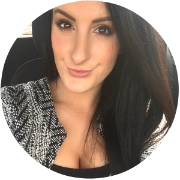 It's what's inside that counts though and in this case, it certainly seems impressive; your lashes look fab :) I've recently fallen in love with Hypnose's Doll Eyes Mascara, so I can relate to that feeling of discovering 'the one'! WOW!! The before and after shots are amazing! You have such lovely eyelashes!